Hello, traders. Welcome to the stock trading course and the sixth module, Investing, Stock Picking. 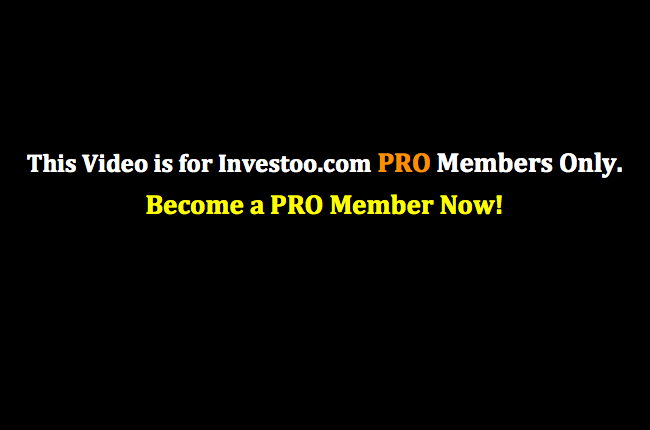 In this lesson we are going to talk about the difference between stock trading and investing in stocks. So investing and trading are two different methods of attempting to profit from the financial markets. The goal of investing is to build wealth over an extended period of time through the buying and holding of stocks. So when we are talking about investing we are talking about longer term holds and when we are talking about trading we are talking about shorter term holds. Trading, on the other hand, involves the more frequent buying and selling of stock with the goal of generating returns that outperform buying and holding of benchmarks and other securities. So the main difference here is that investors will buy shares of a company to build wealth over an extended period of time and traders will buy and sell the same shares day in and day out to try to outperform the returns of buying and holding the same stock. This means that traders are going to take less or smaller returns from their trade but because they are more frequent, they are going to try to outperform the overall returns of buying and holding the same stocks. So stock traders are individuals or entities engaging in the trading of equities for the short-term. They base their entries mostly on technical setups and order flow analysis. Stock investors, on the other hand, are individuals or entities that purchase equities for a larger return on their capital, holding these positions for weeks, months or even years. Stock investors rely primarily on the fundamental analysis of the companies for their investment. Investing in stocks is another game on its own because even though technical buy signals apply, investors need to understand how healthy the company they are investing in really is. Traders really don’t mind the overall state of the company when they are focused on short-term break as momentum and volume, so that’s another difference. Even though we can have a breakouts on the higher timeframe charts, what really matters is why these breakouts are happening and if they are just momentum and volume based or if the overall health of the company has shrift. Investors who purchase shares or CFDs of a company for the long-term with the belief that the company has a strong future, that will see shares double or triple in price, usually look at the value of the company. So whether or not the company share represent a good value at the time, and the rate of success by looking at the company’s financial strength. Through evaluating its future cash flows, investors can access whether the rate of success for the trade of position is good enough to contemplate an investment in the company. So overall investing in stocks is another vehicle for you to profit from the markets and if you are a day trader you can this style to your trading with no problem at all. And on this model we’re going to show you how to evaluate if a company is in a good position for an investor. Now, here is a very good example of what investing in a company looks like. This is the trade that Carl Icahn closed a few weeks ago. He bought Netflix shares at $58 per share and he sold Netflix at $700 per share. It is said that he returned over $1 billion on this trade or 1,106%. And as you can see, there is actually not a technical setup or this entry has no technical base on it. What Mr. Carl Icahn and his team did is just they evaluated the company and they accessed that the shares were undervalued so they started to build a long position on Netflix. And as you can see it paid out over two and a half years of holding that position.